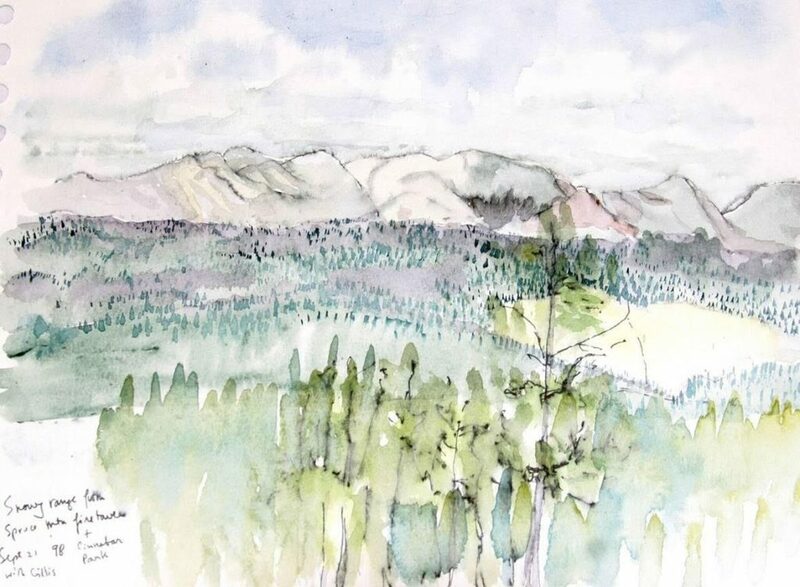 The Pulitzer Prize, National Book Award, Pen-Faulkner Award, and the Library of Congress Prize for American Fiction-winning novelist, short story writer, and journalist, most famous for The Shipping News and Brokeback Mountain, Annie Proulx is also a painter, using her artistic skills to record what she sees. “In part, it is an aide de memoire to fill out details of landform, as the longer you look at a particular scene the more connections between what you are looking at and the natural world you have looked at a thousand times before. But also, it is a kind of pleasurable note-taking. 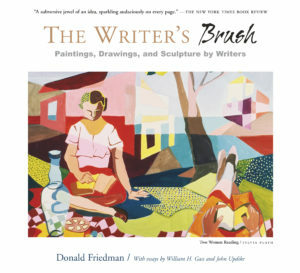 For more, visit the Simon and Schuster page here and, of course, check out The Writer’s Brush: Paintings, Drawings, and Sculpture by Writers for more than 400 plates of artwork by great writers and the stories behind them.